Brookes is the only UK university in the QS ranking of the top 50 institutions under 50 years old 2019 and is in the top 20 universities in 10 subject areas according to the Complete University Guide 2019. The Guardian League Tables has placed Oxford Brookes University in the UK’s Top 50 institutions for 2019 and an impressive 95 % of Oxford Brookes students are in employment and/or further study within 6 months of graduating as stated in the HESA Destination of Leavers Survey 2018. The university's teaching is underpinned by excellent research, which enjoys an international reputation attracting high quality staff and students and helping to generate major funded projects. This reputation was confirmed by the Times Higher Education Young University Rankings 2018 showing Oxford Brookes as 1st in the UK for teaching and research. Programs at Oxford Brookes are designed to develop the practical, transferable skills you will need in your career. Many programs include work placements to develop the practical experience employers require. Oxford Brookes has well-established links with organizations and companies across a broad spectrum of relevant industries. As well as an extensive range of undergraduate and graduate degrees, Oxford Brookes offers high quality academic and English language courses to prepare you for successful university study. These foundation, pre-Master’s and pre-sessional English pathway programs are developed and delivered by the university's own lecturers on campus. Brookes is located in Oxford, a great place to be a student. It is a world-famous and historic city, renowned for its architecture, museums, rowing, punting and scenic riverside walks. The city is also bursting with restaurants, cafés, theaters, cinemas and shops, and has its own covered market that was established in 1774. With almost 40,000 students from all over the world, the city has a vibrant, youthful and cosmopolitan atmosphere. All this only 60 miles from London, one hour away by train. Oxford Brookes University has three main campuses in and around Oxford, each one with has its own library, student accommodation, and sports facilities. There are also plenty of places for you to relax and take a break in cafés and food outlets, where you can meet up with friends, have fun and socialize. All campuses are linked by the university’s own BrookesBus service connecting them with the city center and university halls of residence. Oxford Brookes is currently investing £220 million over the next ten years in its campuses in order to provide excellent teaching and learning facilities that’ll meet the needs of a 21st century student. Run by students for students, the Students' Union is central to Oxford Brookes life. It is home to around 100 diverse clubs and societies, including various international ones, which are a great way for you to meet new people and discover new hobbies and interests. The university caters to each student’s needs with support services ranging from study advice, careers and employment center, IT support, students’ union advice center, disability service, mature students service, counselling and research training. There are specialist support services for international students including the International Student Advice Team to help students with issues such as visas, employment and finance before arrival and at any throughout their time at the university. The medical center on Headington campus is staffed by doctors and nurses who offer a confidential and comprehensive medical service. There is also a dental practice and osteopathy clinic. If you would like to find out more about Oxford Brookes University, please contact one of our Across the Pond Advisors. Employees from leading architecture firms will begin a new Architect Degree Apprenticeship at Oxford Brookes University. Oxford Brookes Racing finished as the best UK team in this year’s Formula Student competition held at Silverstone in July. 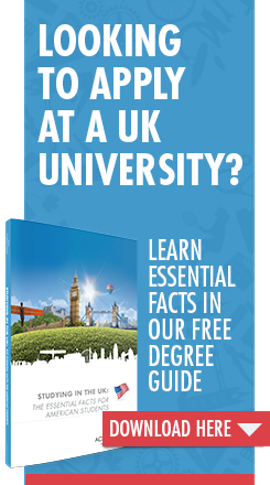 Missed out on university study in September? Don't worry. Oxford Brookes University offers a range of undergraduate and postgraduate courses starting in January. Oxford Brookes University has climbed 21 places in The Times / Sunday Times Good University Guide 2019 published on Sunday 23 September! The result makes Oxford Brookes the third most improved institution in the rankings overall. Great news! Oxford Brookes University has added two new courses to it’s portfolio: an online, distance-learning version of their MA in International Relations and a new MA in International Security. These two courses join their already existent MA in International Relations course. You need look no farther than Oxford, England, to find one of the top three best Schools of Hospitality in the world. Oxford Brookes University was recently given this distinction at an awards ceremony in Paris. Oxford Brookes has done well in the ratings again! CEOWORLD, the world’s leading business and technology magazine written strictly for CEOs, recently ranked the Oxford School of Hospitality Management (OHSM) 13th in the world and 1st in the UK. Praise indeed from such a publication.